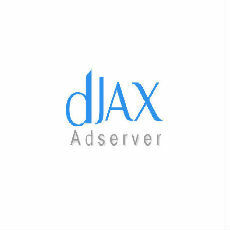 dJAX Adserver Technology Solutions, provide ad serving software and standalone applications to the advertising companies to set up an independent ad network or to enhance the existing online advertising business. Our products enable the advertisers, publishers and ad agency to run their ad campaigns successfully in a display, mobile and video platforms with IAB standard sizes and ad formats of image, text and video. Our primary Ad Server products are Mobile, Video, Enterprise, Premium Display Adserver, Native Advertising, and Adserver for Agencies and Publishers. The enterprise ad server allows online advertising companies to start their independent ad network to run advertising business. It helps users to deliver the ads in websites, mobile devices, and online video platforms using a single server. It supports IAB standard ad sizes for media platforms like display, mobile, and video. The dJAX enterprise ad server package includes a dJAX Professional Ad Server, SSP and DSP integrated XML feed features and Affiliate features and In-game ad plugin. The dJAX Native Adserver, an native advertising platform is a division of content marketing where the posted advertisement will match exactly with the editorial content published in the website. It conveys the absolute brand message to the audience without interrupting the browsing speed.